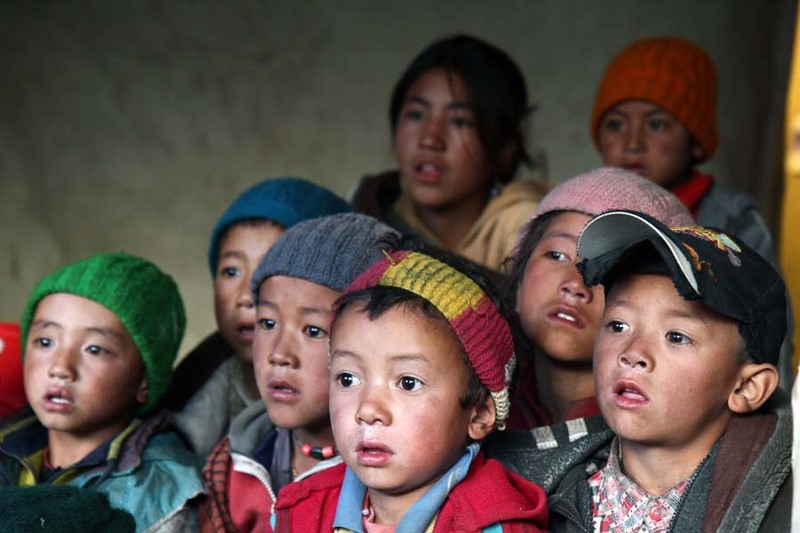 In connection with the new school construction, we have also embarked on a project "Solar Power Plant for a school in the Himalayas", whose goal was and is to provide electricity for the new school. The project “Electricity for Kargyak School” aimed at providing electricity to the Kargyak Middle School. Actually, till nowadays, the village has no outside means of getting electricity. Currently, people have to rely on daylight and small solar panels which provide them with two to three hours of light a day. Thus, our project as it was envisioned consisted of solar panels installation and considering the situation it also included the whole system of energy storage (batteries, inventors, charge controller and etc.). 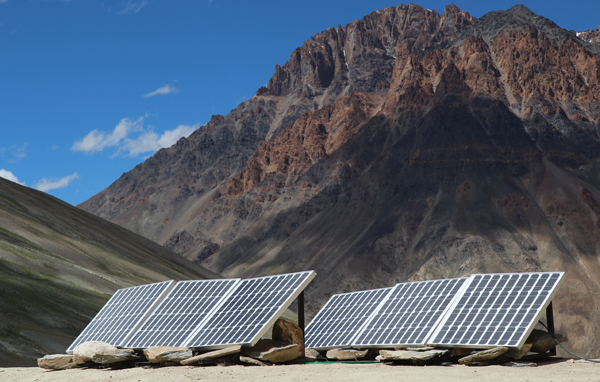 Such comprehensive system makes electricity available even in times when solar activity is low. In the area, where there is up to 300 sunny days a year, we can assume a great success and efficiency of the project. The project was to provide children not only with electrical light but also with availability of learning computer skills. 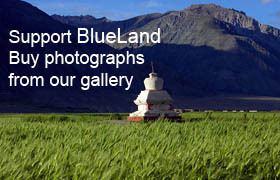 However, the benefit is not limited to children only, but all villagers can profit from it as well. They can charge the batteries for flashlights, radios or cell phones. The project ensured the completion of Kargyak Middle School, a passive house building, which we had been constructing over the last 2 years. The school construction was finished in summer 2012. The building itself is designed to use the benefits of sun energy which, in combination with a south-oriented front façade, using the Trombe wall technology and warm air circulation, heats up the classrooms even during the long winter months from November until May. 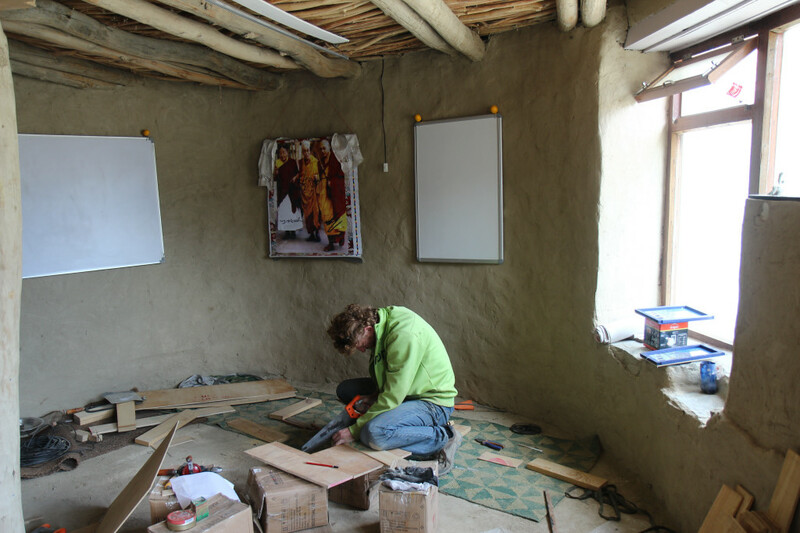 The project “Kargyak Middle School” is revolutionary in the sense that it significantly departs from Indian government models of concrete schools that disregard the climate and the location are commonly built all over the country. The photovoltaic system was installed during August 2012. Compare to the original plan, we increased the amount of batteries to six and used 6 solar panels. Thanks to the suitable structure of the building, the panels were installed directly on the roof of the school, which substantially reduced the necessary length of the inlet cables. The solar panels are now able to supply maximum charging current of 27A. The maximum guaranteed performance drop of the panels in the next twenty years is twenty percent. 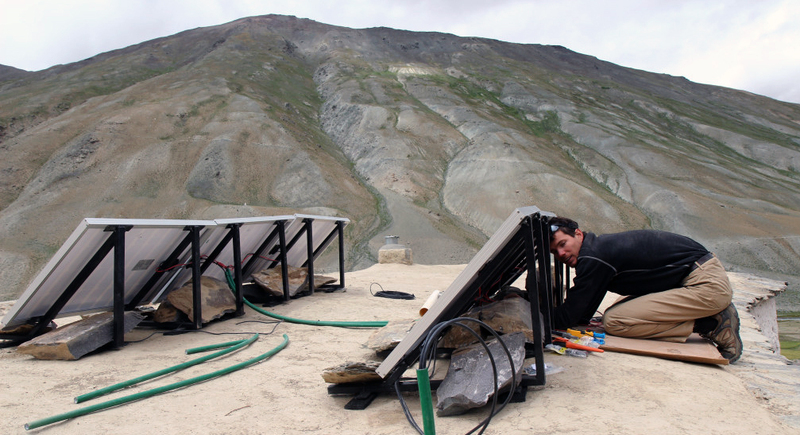 The inclination and exposure of the panels helps to obtain the required energy in the coldest months of the winter season, when temperature often drops below 40 °C and wind from the surrounding glaciers is strong and icy. The main control unit with integrated controller Phocox CX 40 is placed in the biggest classroom, right under the installed panels. It includes slots for protection fuses 1x50 and 4x15, which protect the regulator and each branch of the system against an overload and especially against fire. A voltage converter with an output of max 180W is connected to the battery output, which is wired to the main control unit. Well insulated box with six gel batteries was place next to the cabinet with regulator. All the wooden boxes and cabinets were built with hand tools on the spot. The output of the solar power plant consists of 4 separate branches. The first branch powers the lights in the back and the middle classroom, the second powers the lights in first classroom, hallway and the entrance corridor. For the lightning we used both the LED stripes with an approx. power of 25W and saving bulbs (total 7 pcs.) with power of 20W. The third and the fourth branch, which is led into the back and the middle room, is tipped with a car power outlet (car plug). Devices that can be connect to the power outlets are placed in lockers – namely two versatile power supplies for laptops, charger for AA, AAA batteries, 9V rechargeable batteries and universal charger for mobile phones, MP3 player, etc. Film Club – in the summer children came to school for evening fairy tales. All distributions and connections were performed by experts. The whole system was subjected to a nighttime exercise stress-test during which were switched on all the light [approx. 21A] for approx.15 hours. This test, lasting three folds of the day time planned collection, was successful. Capacity of the batteries didn’t fall below 50 percent. The following sunny weather recharged the batteries with a current of approx. 27A - which points to the correct function and performance of all installed panels. During the next 14 days we observed the running of the solar power plant. Minor adjustments were carried out and an operating local staff has been trained. Envisaged minimum life cycle of each component is 5 years for the batteries and 25 years for the panels, control units, wiring, lights, etc. [assuming proper maintenance and service control]. The whole system has been designed with great emphasis on safety, effectiveness and sustainability. Project documentation, implementation and completion of system were carried out by Eng, Michal Kodym and Eng. Vaclav Klapetek, PhD. Implementation team: Eng. Michal Kodym and Eng.Vaclav Klapetek, Phd. We are really grateful to Foundation Veolia Environnement, Foundation Telefónica, Foundation Mladá Fronta and to private donors Mgr. Petr Fučík and Timpa – Štefan Hiroš for their support, which enabled us to construct this solar power plant. Thank you all!!! 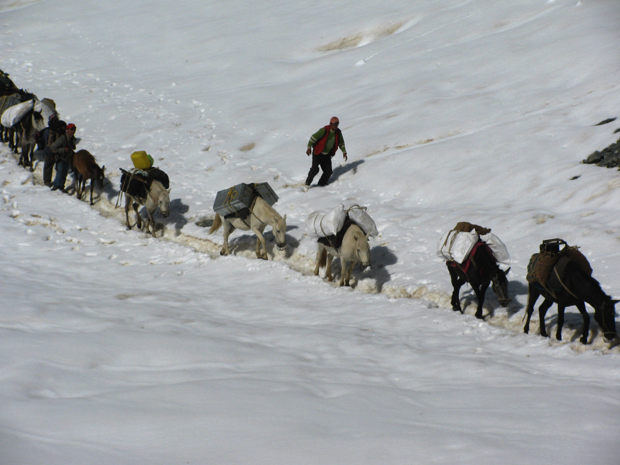 Transportation from Delhi to base camp lasts two days. 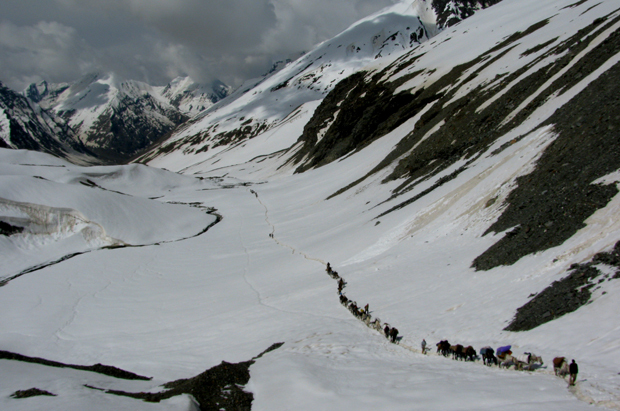 The road passes through a 4 thousand meter pass and is the only connection with Himalayas. 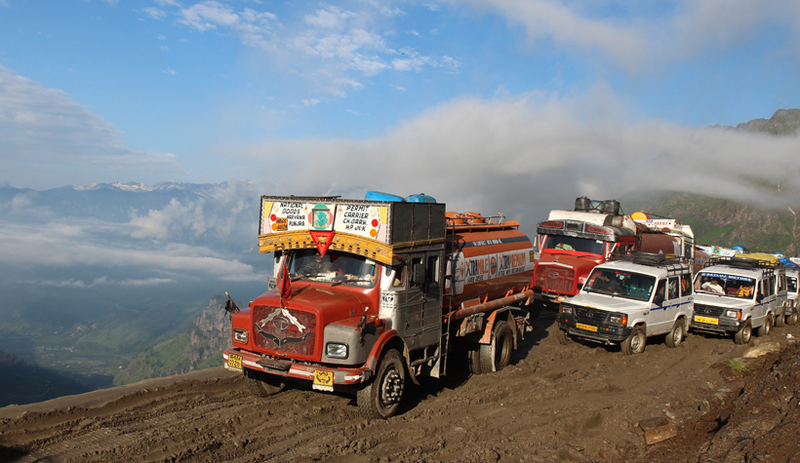 During monsoon it is often blocked for several hours due to landslides. 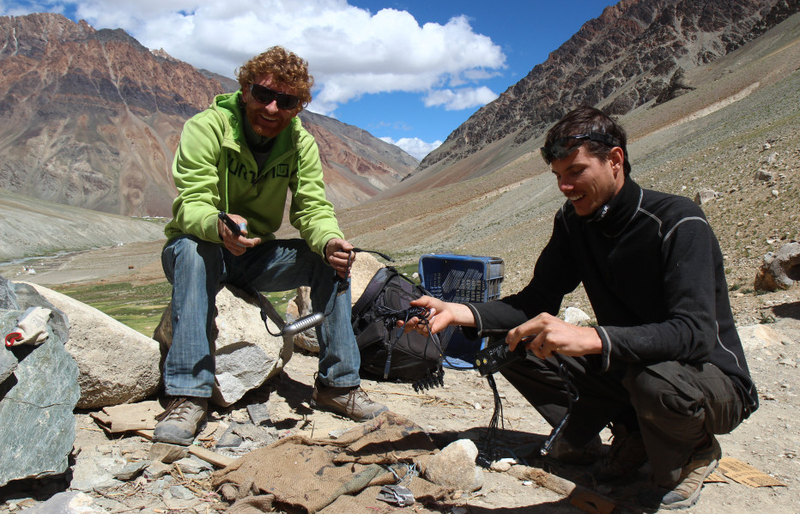 At the base camp are already waiting our horsemen and together we load the solar panels on the horsebacks. The wooden structures we prepared for the solar panels transport did not work so the first day our horsemen carried them on their backs. The second day panels were tied to our dismay the horse without structure. The trip with horses lasted five-days and to our joy horses, panels and batteries survived the journey. Transport of solar panels. 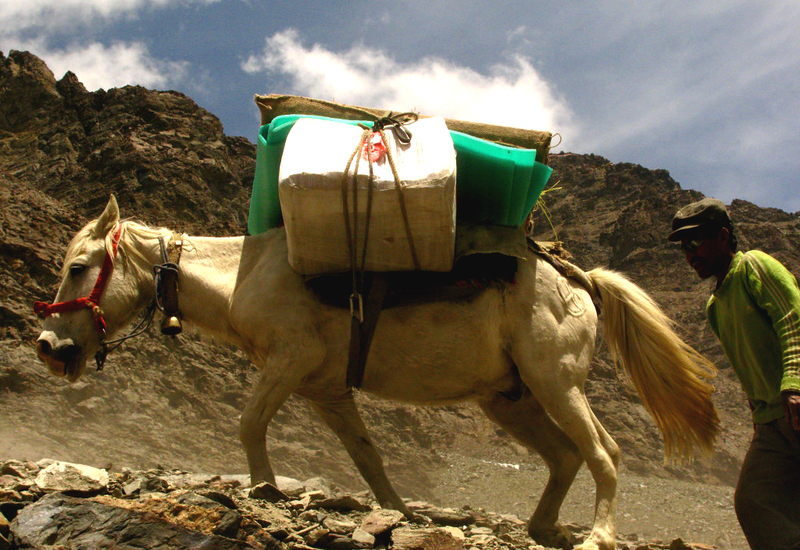 Our caravan of 22 horses was led by an experienced horseman Mr. Norbu from the village Darcha. Glass had to be transported three times due to accidents horses had on narrow mountain paths where they often slipped and shattered the glass. 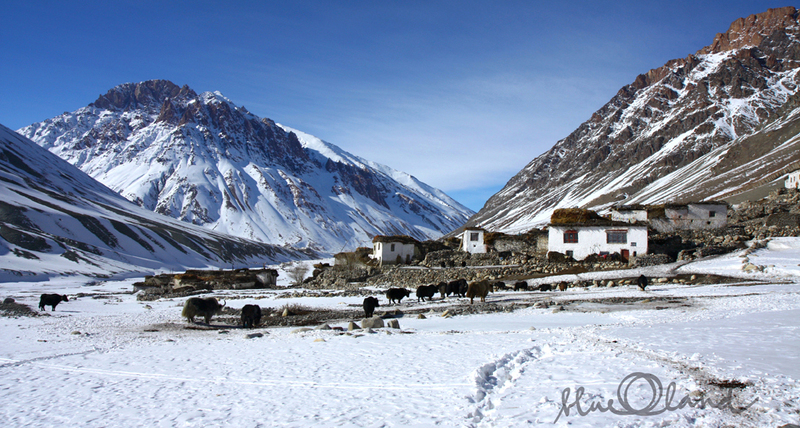 The road to the village goes over Shinkula pass at an altitude of 5.150 m above sea level. Even in summer we have to drag through snow. 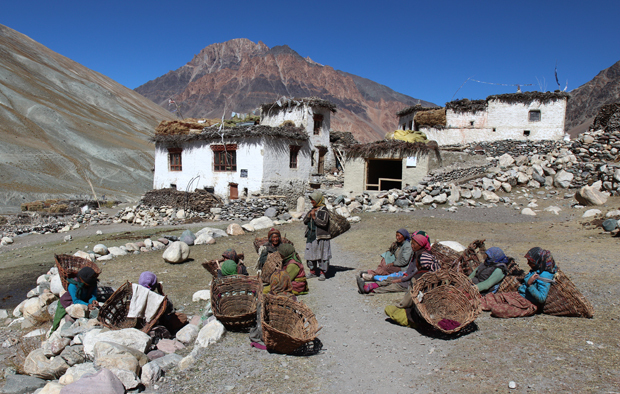 Kargyak village lies at an altitude of 4,200 m. People here live off agriculture and cattle breeding. Households are equipped very modestly. 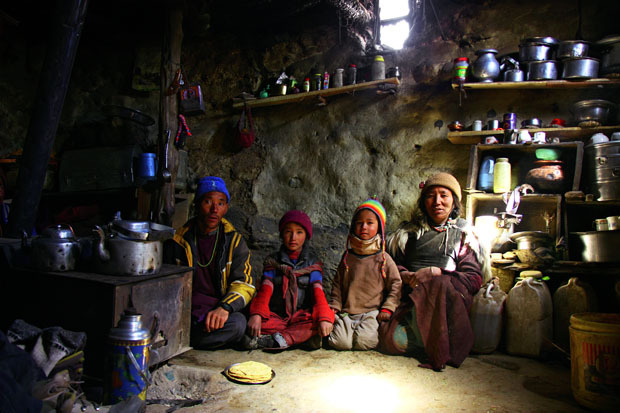 At the center of each room is a stove which burns dried yak and sheep dung. Six solar panels on the roof of the school. Solar panels were installed directly on the roof of the school. All the school furniture we made by ourselves. Michal was named a village carpenter. The villagers were amazed just what can be made from a few wooden planks. Bare room slowly changed into a blue-white class. 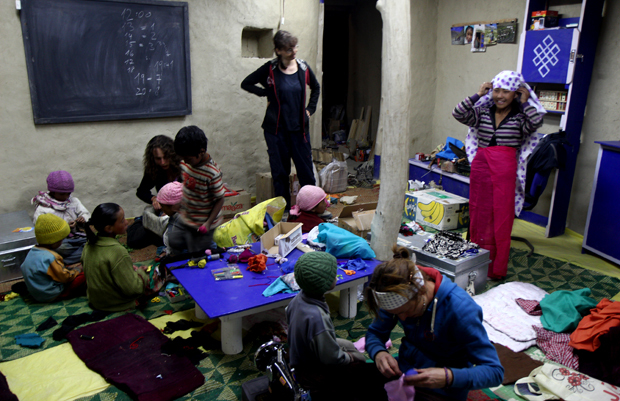 The children attended sewing classes and designed their own fashion and toys. We also spent a lot of time repairing kids trousers! Lit up school. 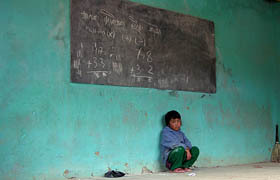 Children regularly stayed in school till nine in the evening. 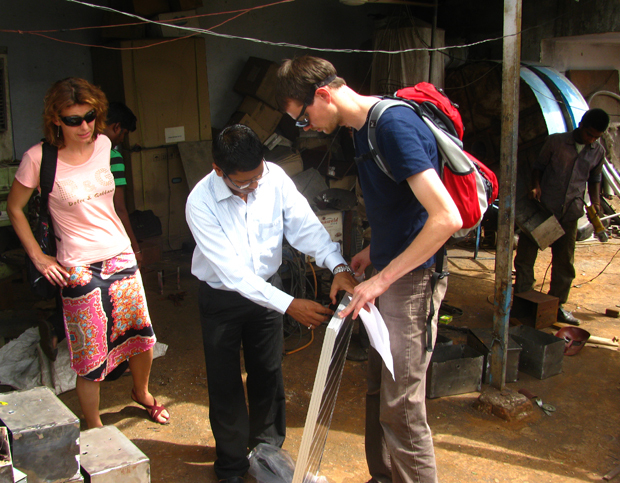 We heartily thank to all for financial support, thanks to which we were able to implement the solar power project.